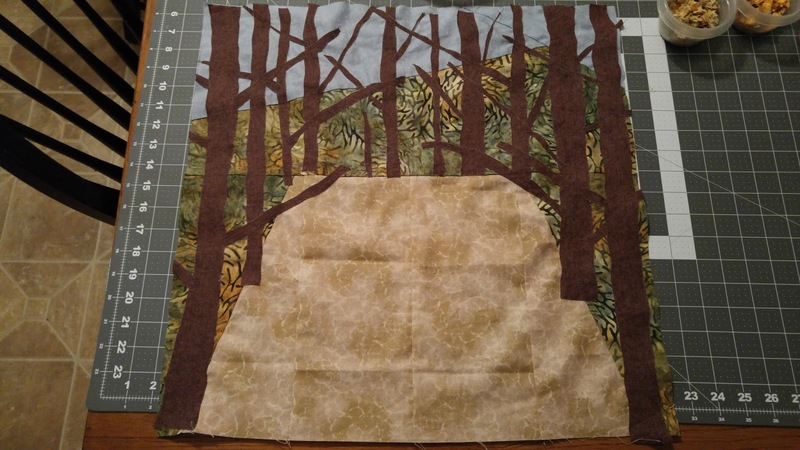 I sewed some fabrics together to be the background. 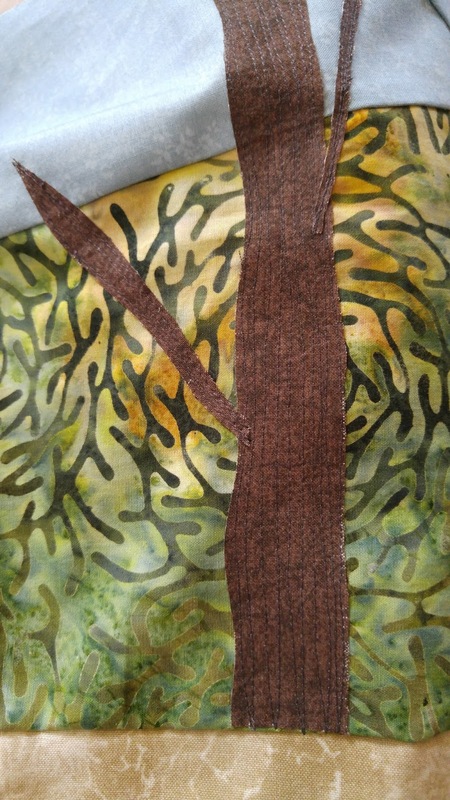 I originally cut trees out of some RealTree Camo fabric I had, but scrapped them. 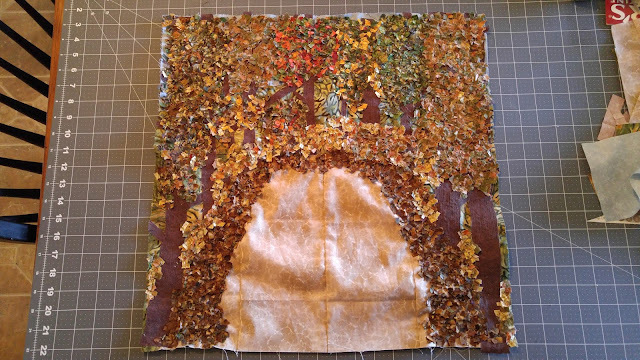 So I cut tree and limb shapes out of brown fabric and top stitched them to the background. I sewed over them many times so the stitches would mimic bark. 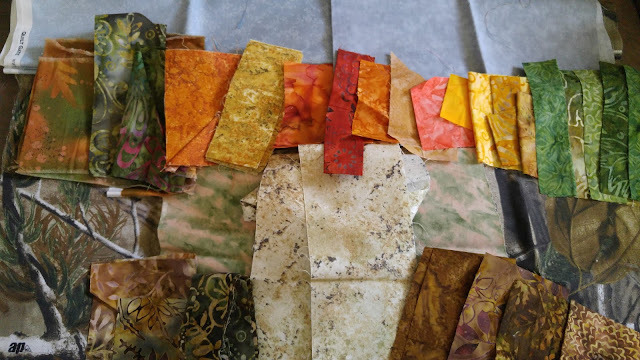 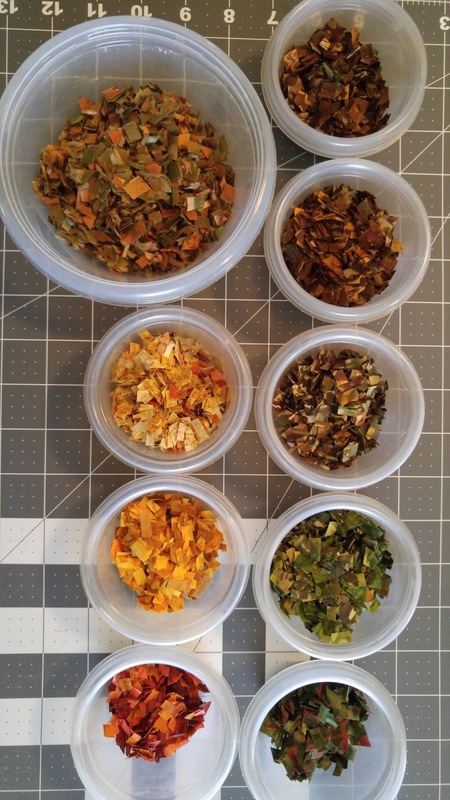 Then I used a rotary cutter to cut batik fabrics into 1/4” squares to make “leaves.” I kept the different colors sorted in small plastic cups. 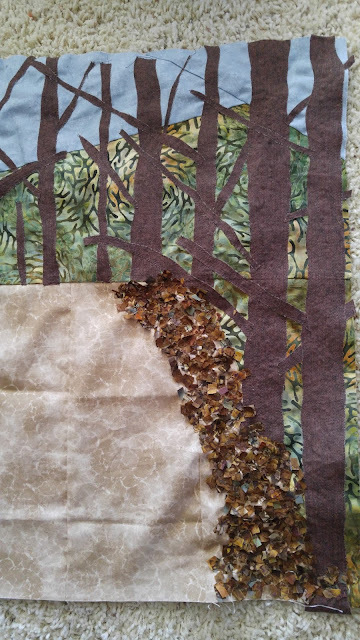 Using my darning foot, I sprinkled some “leaves” on the quilt and quilted over them to hold them in place. 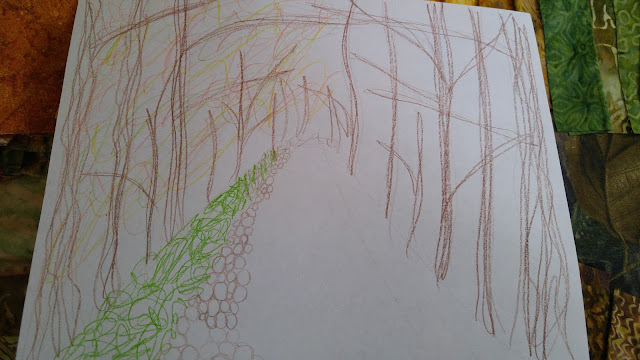 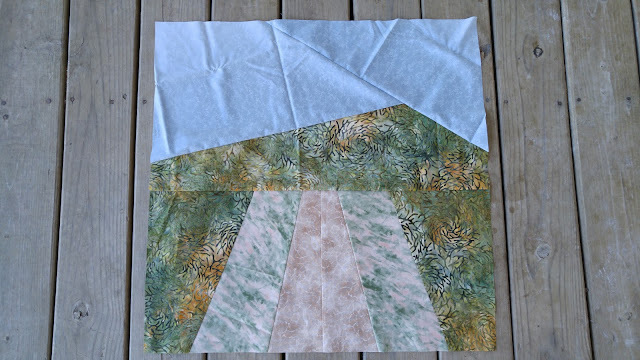 I quilted a pebble design onto the road. The quilt finished around 18" square. 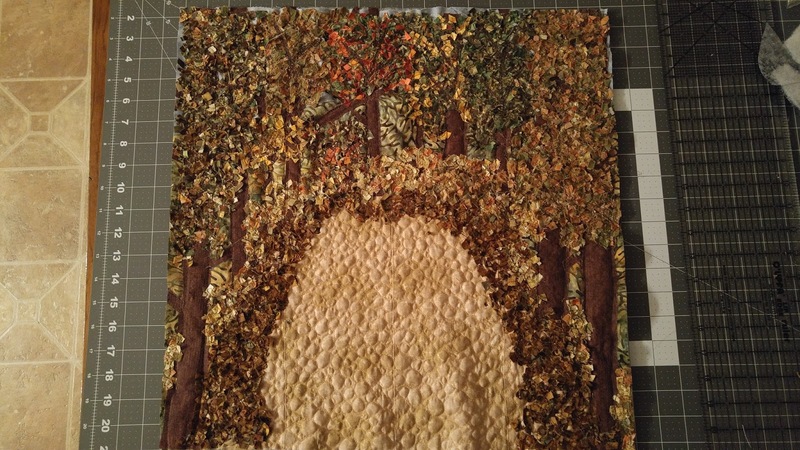 After completing the quilt, I felt like it needed something more, but couldn’t put my finger on it. 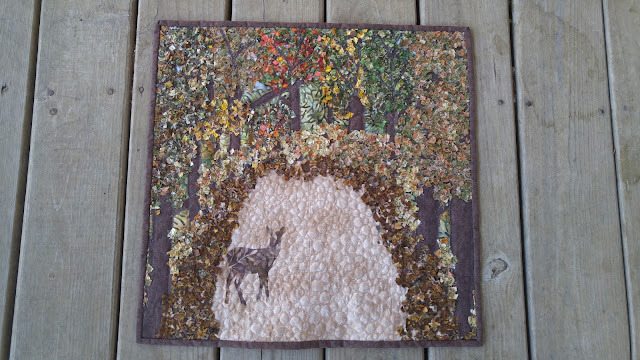 While working on the quilt, several deer kept frequenting our yard. 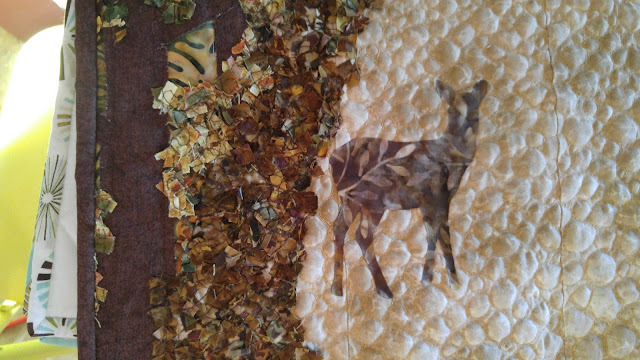 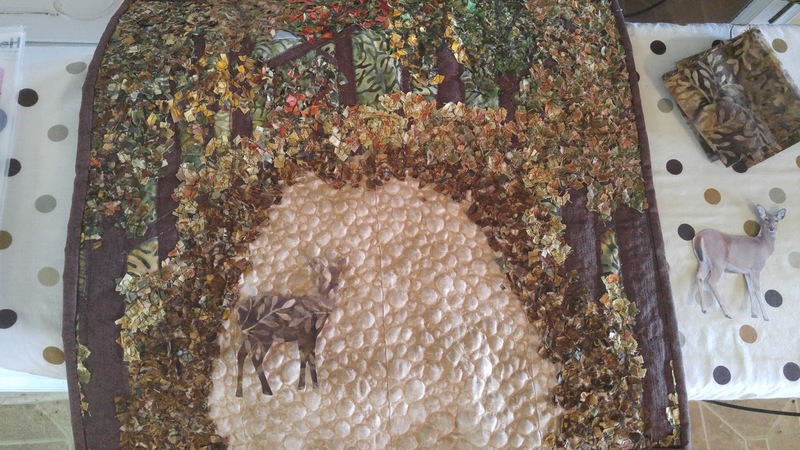 I decided the quilt needed a deer added! 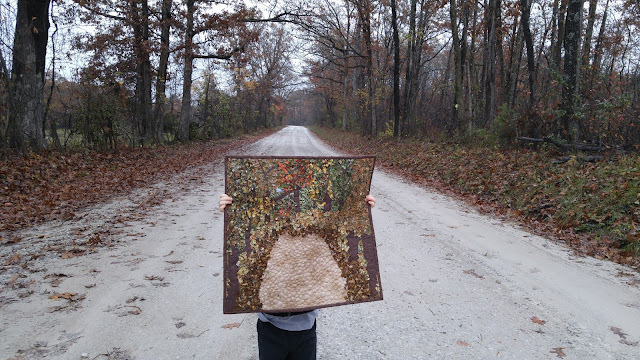 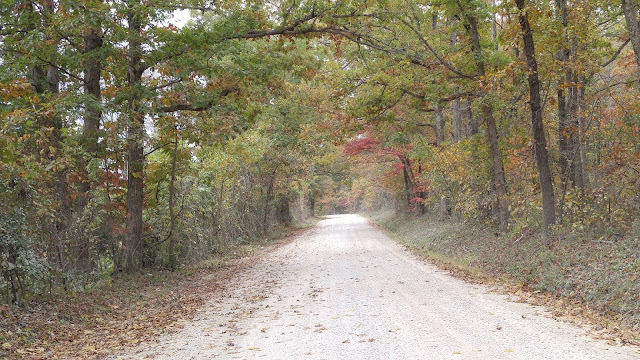 The day after finishing the quilt, I printed a deer photo onto printable fabric and ironed it onto the road using Heat-N-Bond. 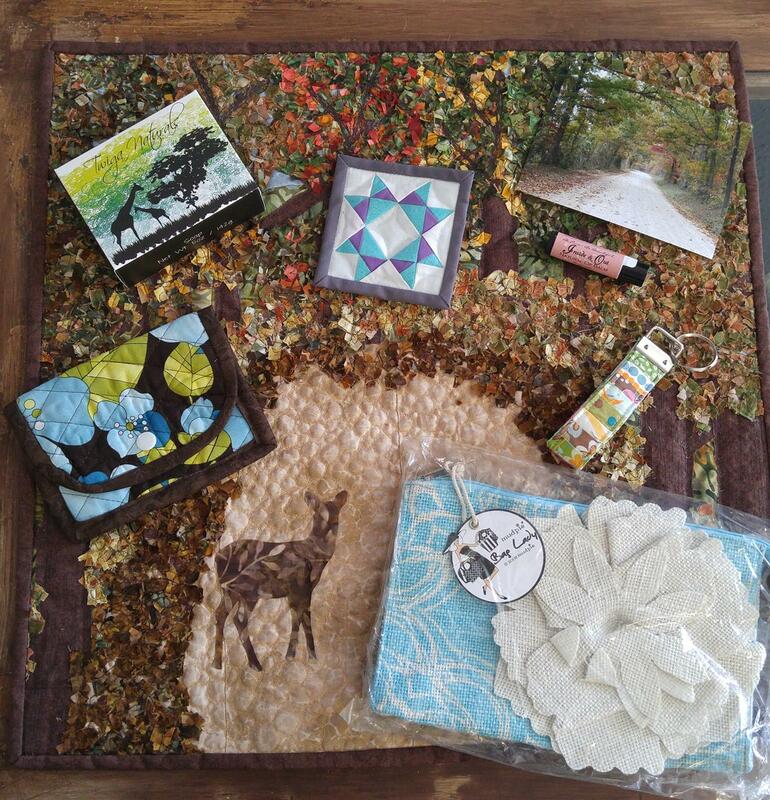 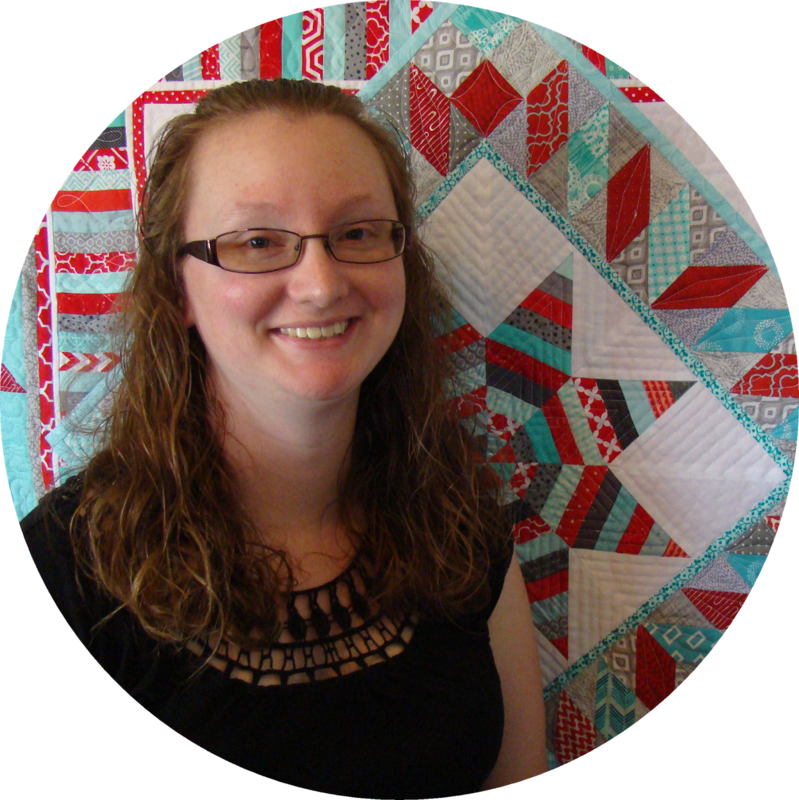 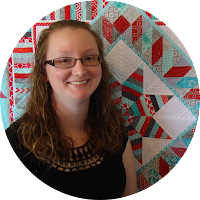 I mailed the quilt along with some extras (including the mini mini quilt) to Florida!